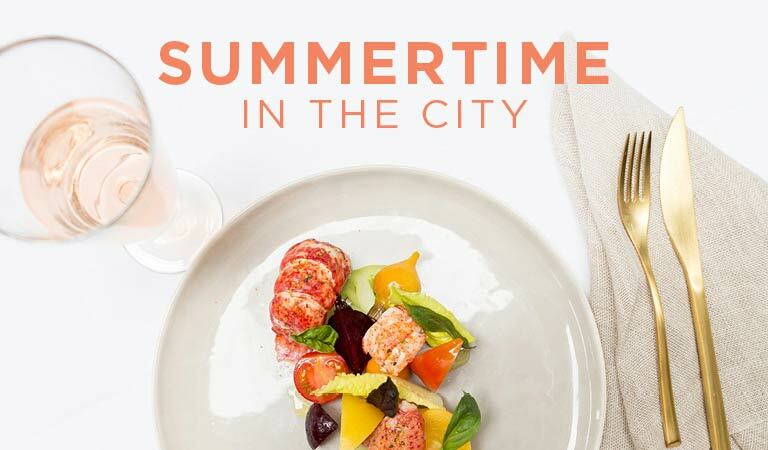 Savor summertime in the city with Patina Restaurant Group, where the food and drinks will be flowing all season long. Soak up the sunshine at our landmark locations in Los Angeles and Orange County and indulge in fresh sea fare complemented by rosé pairings, live action grilling stations, outdoor dining and more. Enjoy summer city nights at Café Pinot in downtown Los Angeles. Executive Chef Phillip Martin will be behind the grill on our patio select Fridays in August from 5:30-7:30PM, dishing out exclusive dishes like Grilled Lobster Salad and Beef Tenderloin. Enjoy Two-Courses outdoors, plus featured wine or specialty cocktail for $30 per person. Summer is primetime grilling season at Nick + Stef's Steakhouse in Bunker Hill of downtown Los Angeles. Executive Chef Megan Logan will be featuring Grilled Oysters with house-made herb butter from now until September 4th. Upgrade your experience with the perfect pairing of Fritz Müller Semi-Sparkling Pink Rosé. Summer is officially here! Savor the season with the perfect pairing – refreshing items from our signature raw bar paired with featured rosé. Choose one raw bar item and a bottle of rosé for $55. Price excludes tax and gratuity. Enjoy deliciously curated lobster dishes at Maple this summer by Executive Chef Philip Mack. Choose from Lobster Lettuce Cups, Lobster Benedict, Grilled Cilantro Chile Lobster and more while brunching with rose in hand at the beautiful Descanso Gardens. Executive Chef Fernando Darin brings a lobster menu perfectly curated with summer in mind. Indulge in Lobster Spaghetti with burrata and chive cream or Wood-Fried Whole Lobster with corn on the cobb, potato salad and bernaise sauce. Pair with a refreshing glass of Domaine de Cala Rose and enjoy from the Ray’s patio while taking in the sights of LACMA. Indulge this summer at Tangata Restaurant at the Bowers Museum with lobster dishes by Executive Chef Brian Kiepler. Try the Lobster Grilled Cheese or Lobster Cobb, paired with a cool, crisp glass of Domaine de Cala Rose. Summer in Santa Ana has never been so delicious!